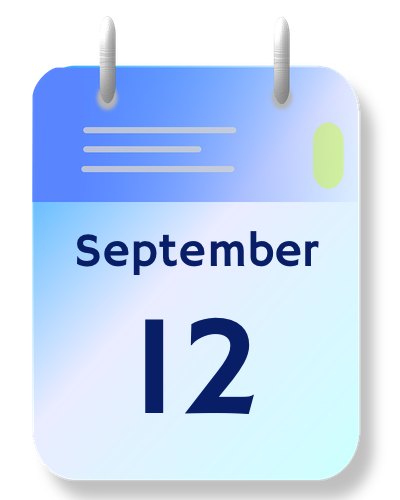 We will hold our season kick-off on Saturday, September 12, from 10:00 am to noon. 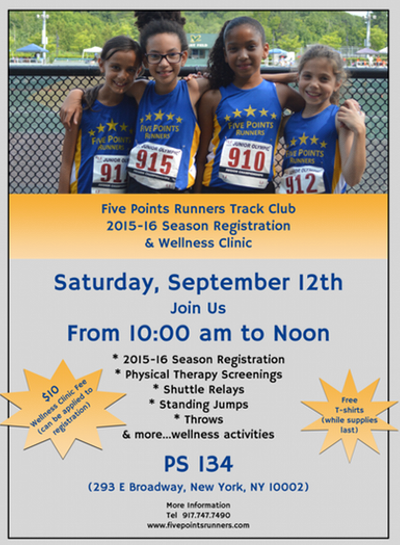 The event, which will take place at PS 134 (at 293 East Broadway), will enable new and returning athletes to register and commence training for the fall season as well as invite newcomers to try out a varied workout. There is a nominal fee of $10 for new joiners; this can be applied to registration. Please download, complete and bring all forms to our registration; we will also have copies available. Also bring a copy of your child’s birth certificate or passport if we do not already have one on file (you need not bring the original). Proof of birth is required by our track and field governing associations. Come dressed in your Five Points uniform, ready to participate!!! !